Charles Dwyer’s deep, whimsically enigmatic oil painting Violet invites viewers into a world of wonder and mystery. The muse’s profound gaze draws us into her story, while Dwyer’s sgraffito builds a hazy landscape full of abstract foliage and fine architectural details. The work’s rich, monochromatic tones delicately meld into each other, further softening this dreamy composition. 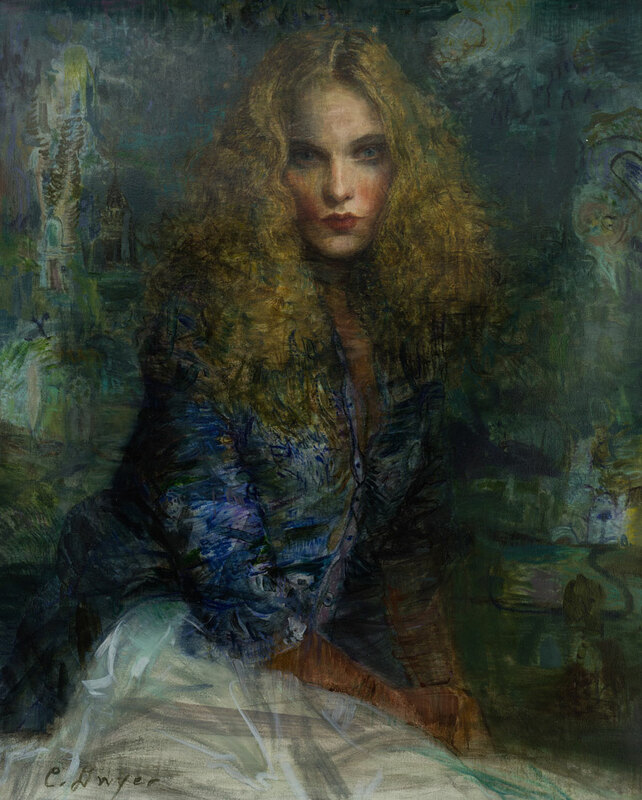 To view Charles Dwyer’s works in person, visit the gallery nearest you.